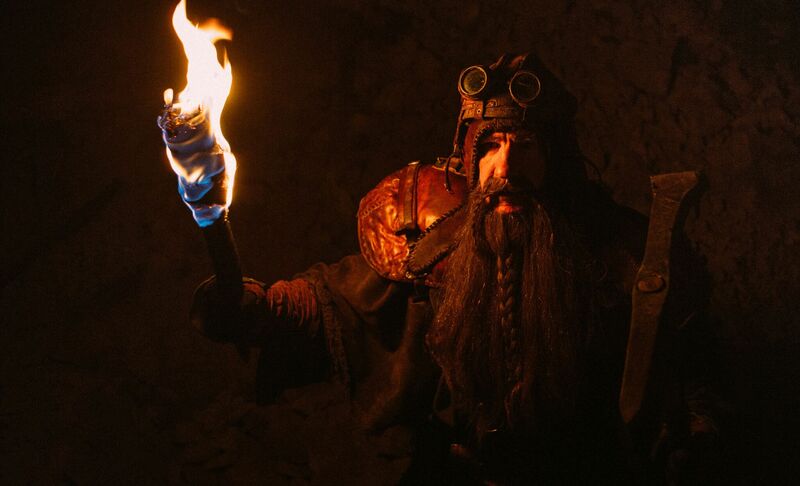 What if I told you about a movie set in a steam-punk fantasy world about dwarves fighting for survival against a strange creature all while trapped in a collapsed mine? 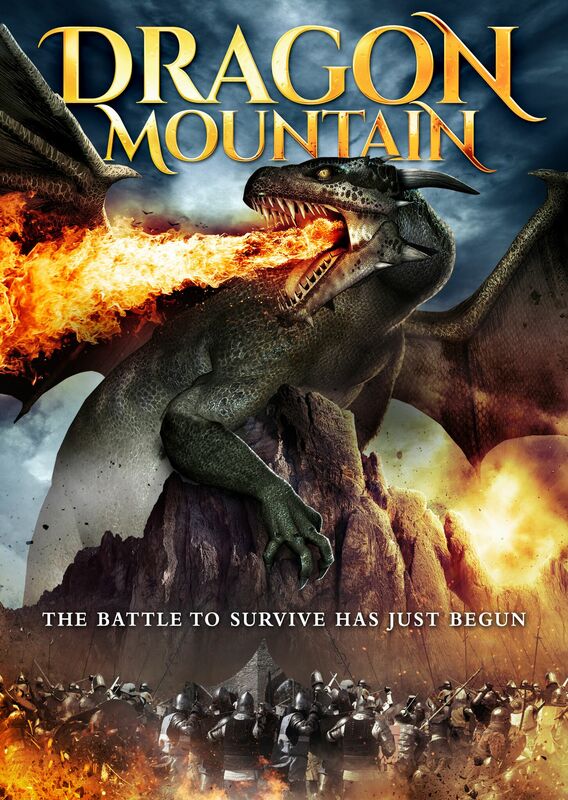 That’s the plot of this film called Dragon Mountain. Sounds pretty great, huh? I really wish I could tell you that it is. Dragon Mountain opens with a scene of a dragon flying above a mountain while a narrator gives some background to the world in which the movie is set. You should enjoy this scene while it lasts because it is the most entertaining and brightly lit scene in the entire movie. Not to mention that it is the only time you will see a dragon in the movie that has the word dragon right in its title. The narrator tells how the dwarves of Demrel made their living from mining until the greedy humans from The Capital moved in and took over. The humans use the dwarves to strip the mountains bare and have developed machinery to make the mining easier and eliminate the need for the dwarves altogether. With this background in place, we are taken inside of the mine and the immediate aftermath of a massive collapse. Three dwarves have survived the collapse, but one of them has his leg pinned beneath a rock. They find each other, help free the trapped dwarf, and start to try to figure out what they need to do next in order to survive the ordeal. The three surviving dwarves are Odryd, Brenn, and Calcas. Odryd is a family man with a pet rat and a soft heart. Odryd clearly respects Brenn; an experienced, gruff, older miner who shows immediate distrust of the injured dwarf, Calcas. Calcas, whose leg is injured from being pinned beneath the rock, is the oldest of the three but he has just started working in the mines and therefore is not well known to the other two survivors. While Odryd seems willing to trust Calcas, Brenn is not, and he is even less so when he finds out that Calcas is from The Capital. All of this is a very interesting setup for a movie that pays off absolutely nothing. Events occur that promise an interesting turn in the story, but these moments never pay off. For example, the dwarves discover a surviving human. Brenn wants to interrogate her to figure out what happened that caused the mine collapse, while the other two want to help care for the injured human. This new character and her interactions with the dwarves should add much to the movie, but very little is done with this her at all. 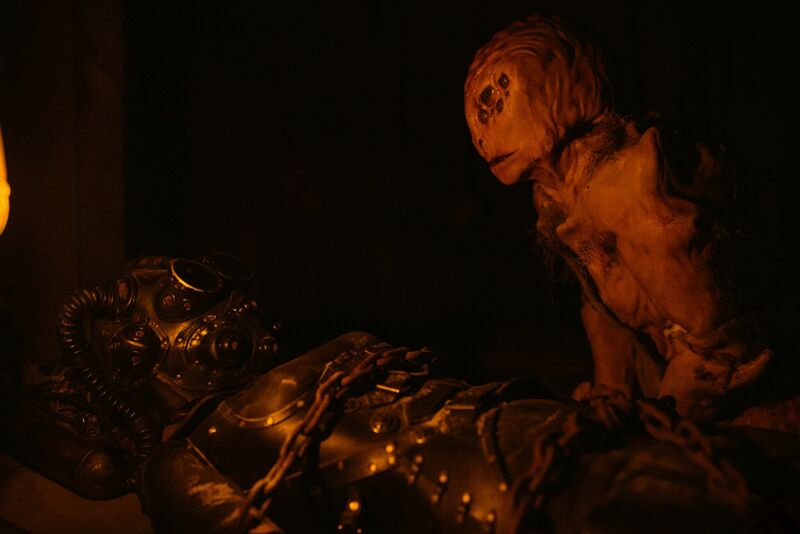 The miners also discover that a strange and seemingly dangerous creature is trapped in the mine with them, which promises some action and some cool creature effects. However, this interesting element of the story is barely used and eventually just fizzles out. Even the ending of the movie seemed like it just kind of dribbled off with no real resolution to the story. All of that is just nit-picking though compared to my biggest complaint about Dragon Mountain: the lighting. To be fair, the movie is set in a dimly-lit mine, but anything interesting happening on-screen is impossible to see. This is just inexcusable. There were times where I had no idea what was going on because of poor lighting, and there are entire scenes where you are just staring at a black screen listening to the dwarves talk. The movie was shot in Adventure Mines, an old copper mine in the upper peninsula of Michigan that is now a tourist attraction. 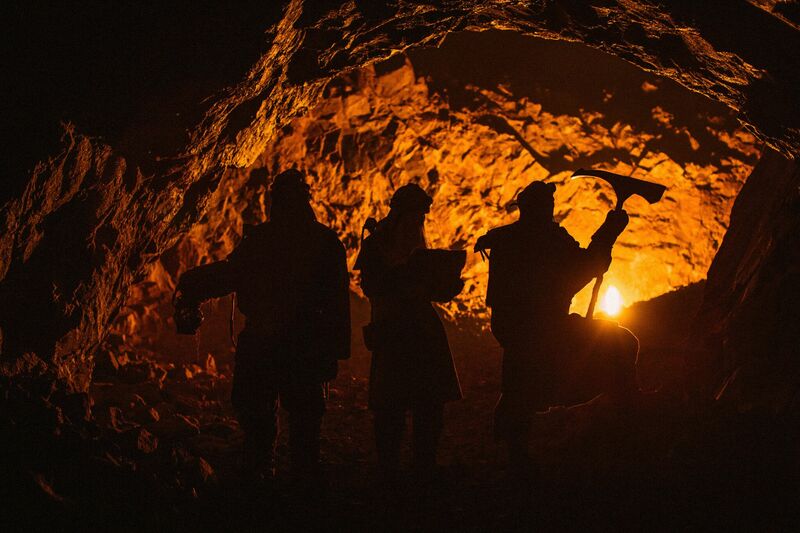 I have actually been to Adventure Mines and it would be a beautiful place in which to shoot a movie if you didn’t choose to light it entirely with birthday candles. What really bothered me the most was how the poor lighting seemed to be used to cover up for poor special effects. I don’t think it is a coincidence that every time the audience might get a clear view of the creature, any light source available seems to fail. I hear the creature coming! Wouldn’t you know it, my crazy dwarven flashlight suddenly stopped working! Damn my luck! Dragon Mountain starts with a promising idea and then shits the bed completely. This movie should have just been called Poorly Lit Dwarves Arguing because that is what you will actually be watching.